With the rising cost of health care eating up larger portions of their benefits budgets, small business owners working to attract and retain key talent are looking for ways to do more with less. For these employers, voluntary benefits offer a strategic opportunity to not only compete for top talent but keep key employees once they're on board. Sixty-nine percent of employees say they would be more likely to accept a job with a new employer if they have the ability to customize benefits to meet their needs, and 45% say that customized benefits would make them more loyal to their current employer. Despite the significant opportunity, voluntary benefits provide, only 14% of small business owners anticipate making changes to their plans in the next year.3 That may be due in part to balancing cost concerns with employee needs. Empowering employees with the protection and resources that meet and exceed their expectations for workplace benefits doesn't have to increase the employer's budget. Adding employee-paid voluntary benefits sends a clear message that employees are valued, increases employee peace of mind and helps improve job satisfaction – and ultimately productivity. 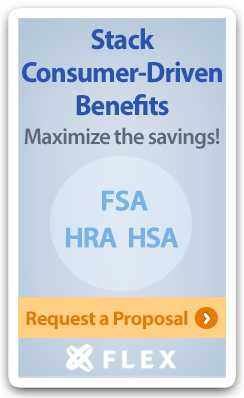 Expanding benefits options with a range of voluntary benefits gives employees convenient access to the coverage that fits their unique needs at affordable group insurance rates. In other words, a strategic, comprehensive approach to benefits can give a small business an edge in creating the strong team it needs to succeed. Download and share the value of voluntary benefits with your clients. Looking for voluntary benefits for your small group client?